Digital Rights Management (DRM) systems provide video and audio publishers with the ability to control how people can consume digital media. DRM is vital for a scalable video infrastructure. Simple DRM Plus (TM) is a security technology and a set of practices, developed by MediaGration, that provide strong security for streaming video and audio, without the expense and complexity of traditional DRM. Simple DRM Plus (TM) combines the following security technologies, with best practices, to achieve exceptionally strong protection for video and audio content. It works with HLS and RTMP streaming. By implementing the above standards-based technologies, combined with secure practices, publishers achieve a high level of security against compromise, theft and unauthorized sharing. 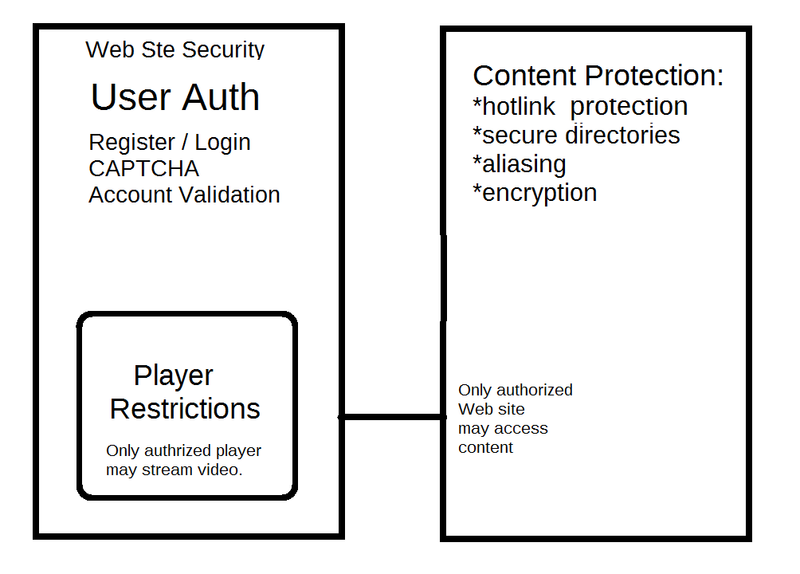 With Simple DRM Plus (TM), users can't view content without registering at a CAPTCHA-protected site; they must be logged-in, and they must purchase the viewed content; which must be viewed by a specific player, locked to a specific domain or IP address; the player must be equipped with a unique AES-128 encryption key in order to view a single segment of an HLS video. In addition to the above security technologies, two servers are required - a Web server and separate media server. Only the co-located Web serve (or authorized remote Web server), has access to content. MediaGration is working with industry partners, customers and IT security firms to test the strength of Simple DRM Plus, compared to other video and audio security technologies, including conventional DRM. Some are suggesting that because it is strong enough to prevent any low-budget attempt to violate it, it can deliver more than enough security for live and recorded video and music. If you believe you could benefit from Simple DRM Plus technology, contact sales@mediagration.com! All sites installed by MediaGration receive certification. 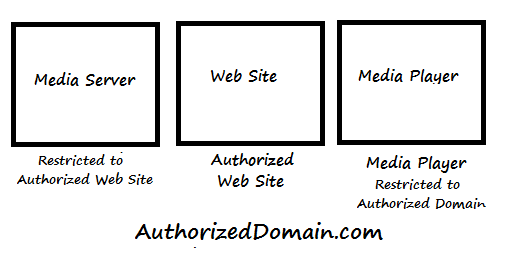 Sites installed by customers or 3rd parties require certification by MediaGration. All certified Web sites display a live graphic certificate (with links to their certification profile), verifying that they have passed our certification test. 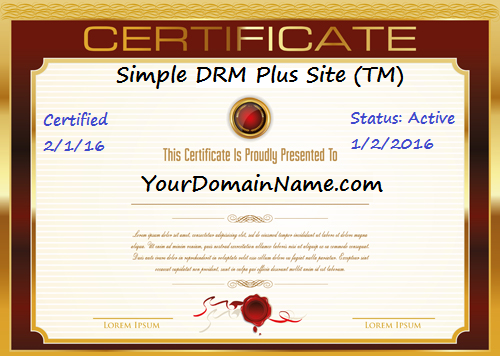 MediaGration will be publishing a Simple DRM Plus Certification Guide, and also establishing a certification program for sites that require third-party verification of strong media security.